Jet Airways founder Naresh Goyal has decided not to bid for acquiring stake in the cash-strapped airline, sources said on Tuesday. Meanwhile, the management of Jet Airways has proposed to suspend all operations of the debt-laden airline at its board meeting, Reuters reported citing ET Now on Tuesday quoting sources. There were reports that lenders to Jet Airways might not consider an initial bid from Goyal to regain control of the troubled airline as he did not fulfil certain conditions set by them while submitting the EoI on Friday. On 12 April, sources said that Goyal had also put in bid for the carrier. Meanwhile, shares of Jet Airways plunged nearly 19 percent on Tuesday amid reports that the company is likely to temporarily shut down its operations. The scrip which had opened the day on a weak note further plummeted 18.56 percent to Rs 213.20 on BSE during the afternoon trade. At NSE, shares cracked 18.53 percent to Rs 213.20. 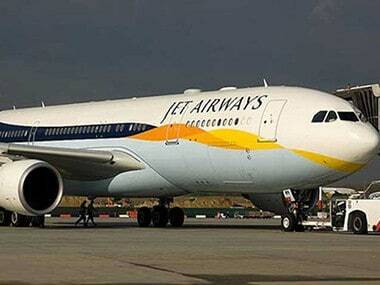 The BSE has sought clarification from Jet Airways with reference to news that it is likely to temporarily shut down its operations. Similar movement was seen on NSE, where the stock opened at Rs 255, then fell to a low of Rs 252.10, down 3.66 percent over its previous closing price.